These tips do not substitute for advice from your private doctor concerning your personal health, but can serve as an overall guide. 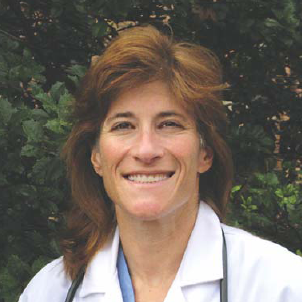 Dr. Ellen Smith is an emergency and trauma physician with a focus on emergent care of athletes. She is the developer and lead instructor of the Wilderness Medicine Field Course, a WFR certifier and 30 Credit elective for medical students and medical personnel. Trail Runners are used to having the itchy red blistered rash of poison ivy often across the legs, but other rashes can plague the athlete and now that the weather is warm, we can explore these. The often recognized three leafed shiny plant of poison ivy is commonly found in yards and woods in our area. The oil urushiol causes an intense irritation to our skin. Histamine is released by the body causing itch. It is so irritating that the cells of the skin leak fluid between its layers causing blisters. While the oil is still wet on the skin, scratching will spread the oil and it can be under the fingernails. Re-entering garden gloves with poison ivy oil on the inside can also re introduce the fingers to poison ivy. Then later, taking off the gloves to wipe the brow can spread the oil across the face. Once the oil has been washed off, poison ivy is not "contagious" to another person, or another part of the body. If you have been in an area with poison ivy, be sure to wash off thoroughly with a soap that can break up oil-like your kitchen dishwasher Palmolive hand dishwashing soap , then take a normal shower. Another option is Zanfel. This product is rubbed over the areas of moistened skin, left on briefly and washed off. It has the ability to bind the urushiol and remove it and comes in a gritty crème which relieves itch (physically) when applied. Some folks may notice a late area breakout. Not all areas of skin have the same reaction sensitivity and speed to an allergen/irritant and new areas may be noted several days after the initial area. Also some folks may have a systemic (whole system) reaction to an allergen causing a whole body reaction with multiple areas of swelling and itch. Typically areas of poison ivy respond to repeated applications of a hydrocortisone crème. More severe areas may require a prescription steroid like lidex and the top level reaction may require an oral steroid like prednisone. Quite interesting is that poison ivy rashes may demonstrate dermatographia-literally the rash is written on the skin as if the leaf were the pen and your skin the palette. We may encounter wood ticks and deer ticks in our woods. The adult Wood ticks are larger than the adult deer tick. The nymph wood tick is also larger than the nymph deer tick. The wood tick can transmit diseases such as Rocky Mountain Spotted Fever. The Deer tick can transmit Lyme disease. If a tick is crawling on you, unfed and unattached, you should remove and destroy it. An attached tick can be removed by a tweezers grasp at the very edge of your skin and over the tick's head portion. Pull straight out and try to get the tick removed as a whole. The tick's decapitated head does not have a life of its own and cannot invade your body further. If it is left in the skin as a foreign body, it may form a pustule. Once a fed tick is removed, contact your doctor to determine if antibiotic prophylaxis is indicated. The grey belly fed tick will most likely be a wood tick. The orange belly fed tick will most likely be a deer tick. The initial rash from the site of feeding may look like a small bull's-eye from either tick . A later bull's-eye rash (may be another site) would be somewhat worrisome for Lyme disease. Often, seeing and removing a tick would make one believe that was the tick that transmitted the disease. Often, it is the case that seeing a tick means you were in a deer tick area . . .actually the tick that transmitted the lyme was the tick you did not see---- the tiny nymph form -the size of a period in newsprint. Finished your triathlon and next day noted a rash? The irritated little pimple rash that occurs in areas under your bathing suit is called Sea Bather's Eruption. It is the larvae of a type of jellyfish, which were caught between your suit and your skin. This can be prevented by a quick rinse allowing the shower water to flow under the suit. The itchy bumps can last 1-2 weeks. Jellyfish have long tentacles with stinging elements in the cells. These cause a painful sting. Some folks have a minimal reaction and some can go into a form of shock depending on the species and the person's reactivity. If you are stung, the stinger component may be still active on the skin. At the beach, seek out the French fry stand and borrow a cup of vinegar as the acidity often halts the sting. An antihistamine (like Benadryl) and an anti-inflammatory (like ibuprofen) may help with the pain and or itch. The jelly fish cannot sting the palm of the hand or sole of the foot and if a rash is there, you are having a more systemic (whole system) reaction either have the wrong diagnosis and should contact your doctor. Have a great summer and stay rash free! I cannot believe the level of support you and your team provided our race last weekend. Teams of medical personnel were not only prepared to help our runners but ran with them along the course, even in uniform. I got a chance to meet some of them and I certainly got to see them run. I was so happy and appreciative of this. This means a lot to me. I think we have developed a wonderful and even model partnership that supports good healthy athletics and a sense of community in our County. Together, and I think of us as partners, we have been able to provide an opportunity for local and out of state runners to participate in an off road adventure that is a real challenge and very special contest for most. We have been able to offer a race on single track dirt trails - away from all the hub bub of our suburbs and in the lovely surroundings of our stream valleys. Our marathon and 50K race offers not only the challenge the distance provides but also the challenges the first weekend in March usually brings: sometimes ice, sometimes mud, sometimes flooding, sometimes bitter cold and high winds and as we experienced last weekend, this year’s surprise: early heat. Yet you were prepared for all of it. You may not have realized this but more or less behind the scenes you and your team were the runners’ most important protectors. I often kid the runners and others that I really do want them to finish all beat up, tired, burned out, bloody, dirty, swearing off running forever, cussing me out for the trail distance, brain dead but also able to walk away and a day later ready to sign up again. It’s that walking away part that I take close to the heart. They all like pushing themselves and sometimes to the limit, it would not be the challenge they want if they did not at times take it to the limit. With this thinking comes risk. I do so much want them to both have the real experience and to walk away. While neither of us can eliminate all the risk, I have to think you come pretty close to eliminating all anyone can get their hands on. You helped me develop a medical plan and to understand better how to plan and prepare. You coordinated the Fire and Rescue teams so that coverage was spread along the course. You had doctors, nurses, trainers, and others all prepared for our race and then you and the team spent all day with us. This really says it all. You were there totally with all your energy and experience. I could not be in better hands and the runners may not have known it but they could not have been in better hands. I guess I will go on heckling the runners and celebrating their being beat up, knowing that they are also being watched by the best possible doctor anywhere suited for this type of situation. I don’t know how are race rated so high as to get this level of help but I also hope you appreciate that for some of these runners, this is their first marathon and/or first ultramarathon. Every year we get a good bunch of first timers and repeat offenders that live in our community and want to go and test themselves on our trails. They are better covered right here in our community probably than anywhere else. I am sorry if I am going on too much or if I am not being as explicit as possible. Running the trail marathon or 50K can be a huge challenge, for some a pinnacle in their adult life. It would not be so important for some if it were not a real test physically. Reducing much of the risk associated to these personal challenges is the perfect place to find you. We are so lucky to have hooked up with you. I hope you can keep coming. I hope we never need you or your team for more than cheering and heckling but you know your presence really carries the day. We all owe you and the team. Please let each and every one of your doctor and nurse friends how much it means to all of the trail runners and me. "First off: THANK YOU A MILLION TIMES!!!!!!!!!!!!!!!!! I don’t know how our trail race rates but we drew the right straw: we got the best medical coverage of any race anywhere. I wonder if even Boston has a team of doctors running with the runners, and we are just a couple of hundred in the woods. This race is more or less a work from the heart for me. I love trail running, being in the woods and the distance. It is so cool to see others sharing in it in our own backyard. Your entering the picture as you have in so many ways is fantastic. Not only the help you provided with the race which was extensive but the incredible experience you and your team bring is priceless. ( I was estimating probably well over 200 man/woman hours with you personally at the 50 hour range; a team of 12-15 doctors and nurses and others preparing, planning and ultimately spending at least ten hours with us on race day has to be 170-200 hours alone and all the time you spent in planning and in working with me before the race not to mention the time you spent with the fire and rescue folks) By the way; I spoke to a couple of the County Fire and EMS Chiefs- you have quite a reputation with them. It is easy to see they thoroughly like you and have incredible respect for you. Once I mentioned your name I knew they were no longer listening to me and wanted to get right to you for the details." A new program at Montgomery General Hospital in Olney will allow local athletes to receive the same care as professional and collegiate athletes. 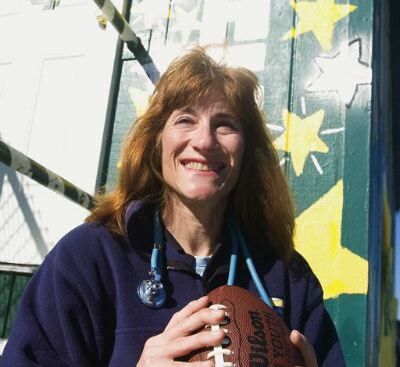 Dr. Ellen Smith of Damascus, assistant director of the hospital's Emergency Department, said that athletes in the area tend to be very serious about their sport, whether they are high school football players or seniors affiliated with a running club. "These athletes just want to get back out there as soon as possible," she said. "We want to serve them to the very best of our ability." Normally, an injury could mean waiting for a doctor's appointment, then waiting for diagnostic tests such as X-rays or MRIs to be scheduled, and then waiting again until the appropriate care is determined. The new program allows care to be streamlined and expedited, Smith said. "Sometimes I am able to schedule an MRI within a couple hours of the injury, when it could have taken two weeks," Smith said. Montgomery General's alliance with Medstar Sports Health brings additional knowledge, resources and strategies to take better care of the athletes, she said. Montgomery General merged with Medstar Health of Columbia in February. "The network of physicians we have is worth volumes," said Lew Lyon, vice president of Medstar Sports Health. "Medstar Health is the parent organization networking eight hospitals together to maximize and utilize the resources within." Connor Frazier, 15, a quarterback for Damascus High School, broke his collarbone during a recent game. Smith, who serves as the team physician, assessed Frazier's injury on the field, called the Montgomery General Emergency Department, and made arrangements for him to be seen and X-rayed right away. "It was all very smooth," said Connor's father, Paul Frazier. "Dr. Smith has not only been helpful to my son, but to the team in general. I think if the hospital is willing to work with Dr. Smith to allow programs like this to happen, it is fantastic." Smith said the program has been used at Damascus for a month and recently expanded to other schools that are in close proximity to Montgomery General, including Our Lady of Good Counsel in Olney, Sherwood High School in Sandy Spring and Watkins Mill High School in Montgomery Village. She expects more schools to participate, and welcomes inquiries from other schools or athletic organizations. She stressed that while the athletic-injury cases will be expedited, that will not affect the care of other patients in the hospital. "A heart attack patient will always be seen first, but this just helps us to prepare so that these patients can be seen as soon as possible," she said. In addition to more than 25 sports-medicine specialists affiliated with Medstar, other specialists that may be needed to treat athletes, such as cardiologists or ear, nose and throat doctors, are also available. "It's not just orthopedists," Lyon said. "You can have an athlete with asthma or someone who receives a facial injury." Lyon said that Medstar Sports Health is affiliated with professional athletic teams such as the Baltimore Ravens and collegiate teams such as Georgetown University and University of Maryland, Baltimore County. The organization began its affiliation with high schools, mostly in the Baltimore area, approximately five years ago. He is pleased that Smith has expanded the program to Montgomery County. "Ellen has done a wonderful job of pooling resources to increase the access of care, particularly to those participating in high-risk interscholastic sports," he said. In order to maintain peak performance, increased oxygen is needed to supply the muscles involved in exercise. There are many elite athletes with asthma, you see pro players wearing nasal expander strips, and Olympic marathoners have had a DNF due to stitch in the side. This month’s edition will discuss respiratory issues in athletes. Multiple triggers exist for asthma. In the athlete, these may include, increased oral breathing, with less time for the nasal passages to warm the air and filter pollutants, humidity, temperature (cold or hot), increased volume of air flow and pre existing asthmatic conditions worsened by the increased need. Exercise induced asthma is more common in prolonged activity sports such as long distance running, and soccer , rather than burst sports such as baseball and sprints. After consultation with your physician, or a pulmonologist you may be prescribed an inhaler. Treadmill studies have shown increased air flow to the lungs in the athlete pre and post inhaler use. Your physician can guide you in preventative inhaler use also. A exercise nosebleed can be caused from trauma to the nose (wrestling), drying of the septum’s lining where many blood vessels are and they “ chap” and bleed (cross country skiing, distance running), from an increased blood pressure locally ( grunt and valsalva involved in weight lifting, wrestling) and general body hypertension and use of blood thinners (Coumadin) and anti-platelet agents (Motrin and aspirin.) Some physicians advise pre treatment of the nose with a vasoconstrictor such as afrin. While this agent is not intended to go systemic and constrict other vessels, cardiac patients need to check with their doctor before regular use. A cotton ball, with a squirt of nasal spray on one end and a dip in vasoline on the other end can be inserted in the nose for 5 min or so to help stop the bleed. For frequent large bleeds, an ENT physician should be consulted. You may have seen pro football players wearing a little adhesive strip across the bridge of the nose. The idea was to open the nostrils and decrease resistance to air flow to the nose to prevent snoring. The idea applied to sports slightly delays the switch point (when you switch from nose breathing to mouth breathing while exerting yourself.) In some athletes the strip was causing a psychological benefit of decrease in perceived exertion. Your VO2 max is essentially amount of oxygen able to be used per minute per kg of body weight – the max you can go aerobically exert before going anaerobic. It is determined by many cardiovascular factors, lung efficiency, muscular blood vessel flow and many physiological factors. It also depends on % 0xygen in your intake (poorer performance before acclimation to high altitude’s lower % oxygen in the air), and is rarely limited by or increased by an enhancement in rate of flow thru your nose/mouth. The athlete (unless breathing thru a snorkel, or having asthma attack) has a great ability to have flow with minimal resistance and is enhanced by mouth breathing In studies of college athletes, the strips had no statistically significant benefit on V02 max. If they help you gain the psychiological edge they may be beneficial to you. Marathon season is coming up fast as well as spring sports season. Good luck and easy breathing to all. Did you ever get ready to race and get stomach cramps, or the urge to urinate when you just went 3 minutes ago? Remember starting a race fast and getting a stitch in your side, or even worse having to move your bowels very urgently. Have you finished a race to then be doubling over with a belly ache? In our January edition, we will address abdominal pains that plague athletes. Often pre race we have some high degree of stress, a change in eating habits, poor sleep, or overtraining. As we are more stressed, we are stimulated to release more acid in the stomach, have faster stomach emptying, empty the bladder more, empty the bowels more. Stomach discomfort, also sometimes called gastritis usually occurs in the epigastrium (the area of the abdomen above the belly button and below ribs, in the midline.) This pain can be burning, or crampy or knife like. Some athletes will throw up before a race due to the high level of discomfort and nausea produced. Occasionally cardiac (heart pain) may be perceived as a epigastric pain so it is always prudent to have a cardiac clearance from your doctor before self diagnosing pain. Try to keep your pre race routine similar every time. If your doctor allows, a stomach acid blocker may help. Mylanta or DanActive yogart can also help coat the stomach lining and give some relief. Maalox is high in magnesium and lead to our next problem, so make sure you choose a mixed aluminum, magnesium stomach acid aide. Needing to urinate several times before a race is due to “habit nerves.” Your mother may have told you to “go before we leave home…” and this habit has stuck. It is uncomfortable, especially for females to race with urine in the bladder and some of us have less tolerance for contained urine. Women who have had children may be more prone to stress incontinence…when the activity (a sneeze or jumping) overcomes the shut off valve strength of the bladder outlet and a little urine dribbles out. If the bladder is completely empty, this happens less. Make sure you have urinated within 10 minutes of your event start and satisfy your mind that your bladder is empty and you will eventually form a new habit of going once. Caffeine rather than be a diuretic (a chemical that causes the body to produce more quantity of urine) is a bladder irritant and make the bladder want to empty sooner. If this is your problem, make sure you limit your caffeinated beverages pre race. Very uncomfortable is the marathoner who has runner’s trots. Up to 40 % of recreational runners may experience this sudden urge to defecate. (Every wonder why there are a second set of port a potties at the 1-2 mile point??) The exact cause is speculative and may be different for each runner. Here are the most agreed on theories: the boucing up and down of the gut causes irritation, dehydration pre and during race causes irritation, change in pre race diet, lactose intolerance at a low level and just manifested when the body is exercise stressed, caffeine speeding bowel emptying, stress speeding bowel emptying, habit or suggestion from not wanting to pass up a bathroom, intolerance to artificial sweeteners at a low level just manifested when the body is stressed, too much pre race fat or fiber, enactment of the gastro-colic reflex (taking in pre race meal causes body to empty gut to make room for more food—cave man like reflex to enable mankind to hold large meal—not knowing when food would be available again. Those of you with kids…this is your kid needing to use the restaurant bathroom just when the food arrives and 1-2 bites are taken!!) and lastly, the diversion of blood flow from gut to legs while exercising. All of these above cause an irritation of the gut lining. While we are resting, this is not such a problem. When we are exercising it is a big problem and the irritation causes a massive urge to empty the bowels right now. Depending on which of the above is your most likely suspect, you can try to correct the behavior, however is none works, consult your dr for a remedy. Interestingly enough, the small chewable calcium supplement (taste like tootsie rolls) seem to combat this quite well while still being safe and drug free. A side cramp or stitch in the side is thought to be from a spasm of the diaphragm muscle. The intestines bouncing up and down in running or excess breathing can cause this in the sometimes ‘not quite in shape athlete.’ It will occasionally help to bend to the affected side and belly breathe for 20 seconds. Alternatively slowing the pace for intervals of 30 seconds may help. Nausea during an event can be from reflux (think of the bent over position of the bicyclist on a racing bike who just drank some lemonade.) Reflux or GERD (gastro esophageal reflux disease) means some of the stomach contents go in the wrong direction and bypass the valve closing backflow between the stomach and esophagus. While food and drink is tolerated going south, it is very uncomfortable going north. The undigested food or drink is usually mixed with stomach acid or bile and “burns” or stretches the esophagus as it pushes upward. If it gets all the way to the mouth, you may taste a burning or bitter substance (wet burp) that burns in the back of the palate for 5 minutes or more. Try to avoid reflux by avoiding acidy, red sauce, tomato, citrusy, chocolate, caffeine, gum, cigarettes or other common causes pre race. If biking, adjust your position momentarily to enhance the use of gravity and decrease intra abdominal pressure to the fluid goes back down. Do not ignore chest pain, make sure your doctor has cleared you pre race and rechecks you if you have any chest pain. Although reflux causes chest pain frequently, many a good athlete has had a heart attack and assumed it was GI in origin. Nausea can also be caused by low blood flow to the stomach lining as blood is diverted from the GI tract to the muscles. You will feel nausea and probably a cold sweat and have to stop activity to vomit. Surprisingly, once the stomach is empty (and has need for less blood flow ) you may feel better. Again heed the caution that upper GI maladies may be a heart attack in disguise (enough said.) Try to avoid these problems by a controlled start (so you have time to distribute blood flow and not shock the GI system and the diaphragm), having the pre race nearly empty or empty stomach., avoiding new foods or drinks pre or during (have you ever been in a marathon and hated the race table beverage?) Experiment during training with the best time to pre race fuel up and how fast you can go out and not be uncomfortable. After a great workout, ever get home and be plagues with stomach cramps that double you over? These can be from race long gastric low blood flow (that your race adrenaline helped you ignore), post race quick eating (and your stomach is just not ready), heat exhaustion, dehydration (and your body prioritized blood flow to critical organs, not GI), low sodium, and other reasons. While you want to try to take in protein within 30 minutes post muscle breakdown event as we learned last month, this has to be gentle slow and easy if you are prone to post race stomach cramps. It may be wise to get your post race calories in a beverage rather than a solid. Hydrate throughout your event so your body has enough volume to go around. Stick to post race foods you know are tried and true. If you just cannot shake the post race cramps and you are home, consider a quick bath which will redistribute blood and ease the pain. Do not try to eat when you are crampy, until things ease up. If you have bloody vomit or feces during or after an event , this is significant and your should call your dr immediately as a life threatening problem may exist. Again heed the warnings of the disguising nature of cardiac (tricky heart ) pain. Many GI problems and such can be avoided or trained thru with some forethought, time and effort. A local Gastroenterologist or your physician’s referral can guide you thru pain and problems with continue to bother you after “doing all the right stuff.” Consult the Montgomery General Hospital Doctor’s Referral Service or your doctor if you need to find a GI doctor. Wishing you a pit stop free race season…..
Eat to win......how can I optimize my nutrition for racing and training? Frequently mistaken to mean 'Eat pasta just before a game or race,' carb loading is a process. When an athlete needs immediate burst energy, he pulls glucose out of the blood stream and uses ATP(body energy packets) breakdown and will run out anaerobically(sprint type) in 2 minutes. For example, running a quarter mile at a sprint or a football play is <= 2 minutes and the linemen may have an anaerobic burst each time. To replace the blood stream glucose, the athlete would have to continually eat.......or have an easily broken down source of reserves. In the liver is glycogen and in the muscles are glycogen. (Note the similar names, glycogen is stored glucose-sugar in an organ.) Glycogen is broken down by enzymes (the OPPOSITE of insulin) to glucose and put into the blood stream for use. If your liver glycogen stores are empty(starved), or you are NOT an athlete, and therefore are not good at breaking down muscle glycogen, you BONK out and have poor performance (run out of gas.) Eating a gel would help. It digests in 10 minutes, therefore keeping the energy source--glucose in the blood stream. Problem is .....do you have time to eat one?? Do you have one available? Do you have water to take it with? If so, you can take these to keep going. However if they are not available, or will not be convenient, it is best to prefill your muscle stores with glycogen. This is the real carb loading--having full to bursting muscle glycogen stores and having the ability to rapidly breakdown the glycogen to glucose during that reach deep period of performance.Several weeks before an event, an athlete raises his carb intake from 5 grams per kilo to 10 grams per kilo. If a person weighs 220, he is 100 kilos. He should eat an additional 500 grams of carbs for a training period leading up to event. (For a marathon it is 4-6 weeks) If a person is already training hard or lifting, he should eat to compensate for the training, the post lifting/exercise protein recovery, and the carbo loading. The pre race meal only serves to add some glucose to the blood stream now, not build reserves and not carbo load. This is one of the greatest misconceptions in sports. The pre game meal or pre race meal should not have fat, it should be mostly carbs and have a good amount of fluids. The drink at the meal should be a pre hydration drink with electrolytes. Electrolytes are important for any athlete wearing gear, competing in heat , who sweats heavily, or will be in extended activity. Crampy athletes should also be pre treated with electrolytes. Endurolytes and similar products are an excellent source of electrolytes. They are easy to swallow and absorb quickly. In carbs choice: glycemic index is important. If a food causes lots of insulin to be secreted, it is not good during a prolonged event. Insulin pulls glucose out of the blood stream and packs it into the liver (great during the pre event carbo loading training period) bad during activity. A good example is candy--quick energy burst, crash out when the sugar packs away. Soy is low glycemic index-----barely any insulin is secreted and the glucose from the food stays in the blood stream , ready to be used by the athlete. During a marathon, low glycemic index foods are best. After and days pre race, high glycemic index foods are best to prepare and repair. High glycemic index are also ok if you are doing a very short event--30 minutes. But it is unlikely you really need to change much for such a short event unless you have been very unwise nutritionally prior. There are lots of types of these Protein drinks. Many are on the expensive side. If you are going to use one, pick one with good taste , easy solubility and a good protein source and without caffeine or ephedrine. It is best used just after a workout with 2 heaping scoops in a large glass of milk or water and shaken well. It has the potential to repair muscle breakdown. Just after a person, especially male, exercises, there has been muscle proteins released from broken down muscles-- these proteins are called Creatinine Phospho Kinase. There is a window in time (30 minutes post exercise) to repair, replenish and rebuild the muscle protein. If a person (especially males)then takes in a highly digestible protein source (take with water, avoid fat--will make the protein linger too long in stomach, avoid too much carbs post workout--will fill up on that) the muscles will be rebuilt and then some!! There is also this process in women, but not to the same extent. However, many believe in both sexes the lack of DELAYED ONSET MUSCLE SORENESS can be controlled somewhat by this immediate post exertion protein intake. We don't need as much protein as Americans typically eat, so instead of adding protein at this time, consider moving the intake to this time. Don't forget egg beaters like products.pure protein egg white or the imiation crab meat (red and white pieces) which are high protein and a little sugar. Protein only? Be cautious with strictly protein diets. They are considered medically unwise for many. Protein can only be digested with approx twice the fluids as carbs and by using some carbs. If you just ate protein all day, and no carbs, soon you would have diarrhea and die. This is called rabbit starvation ( a problem with wrestlers and dieters. ) The Englist settlers ate just the muscles of the rabbits --pure protein and many were sick and having diarrhea and dying. The Indians ate the brains (fat) , the guts(pre digested carbs) and did fine. So.... make sure loads of fluids and a reasonable amount of carbs are taken in by the high protein diet affectionado. You may remember the "liquid protein" diet of the 70's and many people died. Fat tastes good, makes you feel full for hours but is not quickly digested. It is calorie dense. It also can be stored without water in the body. Make sure to keep some fat in moderation in your diet. Women without fat intake may lose their menstrual cycle and teens and children without fat will suffer in short term memory and school performance. Fat is also essential to absorb vitamins that serve many body needs. Ever have a nosebleed while dieting drastically? Vitamin K is essential in blood clotting and is fat soluble. Moderation is the key. Many sources exist regarding sports nutrition as you know, to have an individually tailored program, you need to consult your personal physician or a nutritionist, especially if you have a special diet, diabetes, food allergies, or other medical conditions. Growing children need pediatric consultation before taking any drastic nutritional changes or taking any supplements. Please use the above guidelines as a general guide for information and work with your dr to construct a program right for you. Our feet are at risk in the winter from near direct exposure to the elements. Let’s outline some of the hazards and the protective strategies. Often we race on frozen ground, ice, or in stiffer soled shoes in the winter and may be surprised to find black toenails on the first, or fourth toes….areas of impact either to the sole of the shoe or the toe box. On stiffer ground, make sure the toe box of the shoe has adequate vertical height by elevating the toes when you try them on and they should only touch the shoe top when at the max of toe lift. A thin wool sock will give roominess and still wick. Sometimes a little bit of baby shampoo (just a tiny bit) on the toenails before a long run can keep them soft enough to prevent the black toenails (subungual hematomas—SUH medical name.) If you find yourself with black toenails, SUH’s, a gentle soak in salty water or lukewarm water with baby shampoo in it will often soften the nail and the SUH will express itself. Rarely do runners need to make a hole in the nail to let it out. This type procedure is more for sudden trauma (hammer strike to thumb nail.) If you have a severe throbbing pain from under the nail, and cannot sleep, you may need to trephonate the nail. Trephonation means making a tiny hole in the middle of the nail to let out the pressurized blood underneath. We do this at the hospital with a small battery-powered wire tip cautery that melts a tiny hole in the nail . The heat is extinguished when the tip touches the blood under the nail. Be sure not to wipe the nail with any alcohol containing product before applying and heat. This may be best done by your doctor if you are not experienced in doing it. Mid arch pain is also encountered in the winter when we may be wearing stiffer soled shoes, or running on snow. Make the shoe fits your arch well. If you do the ‘wet foot on paper test’ to test your arch, you may be fooled into thinking you are flat footed. All babies look flat footed, when actually they are “fat footed” meaning they have a little fat pad at the arch. You may also have tissue there making it look like you have no arch. Lots of folks with back pain or foot pain have had a great outcome by changing to higher arched shoes. If you have severe pain on that first step out of bed to floor in morning, you may have plantar fasciitis. Wrongly, many try to stretch the arch of the foot. The length of the fascia is fixed and more benefit will be obtained by training in a well fitting shoe with an arch support and stretching of the calf muscles which can elongate. Heel problems can also cripple the runner. A severe pain in the bottom of the thick part of the heel may be a heel spur--calcified first portion of the connecting tissue across the bottom of the foot. It is painful to walk on. Also you may have a stone bruise—unseen bruise that make it feel like a stone is in your shoe heel. These are best solved at your podiatrist or foot specialty orthopedist. A severe pain, like someone stepped on the back of your heel, and a swollen painful area just above the back of the heel may be a partial Achilles tear. This should get immediate medical attention and should not be walked on until definitive medical care is given. In conclusion, keeping your feet warm and dry, getting proper fit in toe box and arch and not ignoring foot pain will keep you running, and racing longer and stronger! Emergency room physician Ellen Smith's co-workers at Montgomery General Hospital in Olney often promise to join her weekend adventures of rappelling, kayaking, biking or hiking, but they never do. Consequently, Smith, 44, of Damascus, created a virtual way for them to participate. She calls it Dr. Smith's Employee Healthy Sports Challenge. Each month, Smith posts a new map on an easel and invites her colleagues on virtual adventures, such as an Iditarod sled race across Alaska or a kayaking trip across Niagara Falls. For each 10 minutes of exercise they complete on their own, participants get to move their pin one-half mile on the map. December's route was 15 miles, and January's was 18 miles, but now the group, which numbers more than 80, has progressed to 30-mile routes. "I wanted to have a way for people to be proud and demonstrate their progress," Smith said. This way, everyone can benefit from exercising without undertaking the extreme sports she enjoys, Smith said. Yoga, Pilates, walking and playing basketball all are eligible workouts. The challenge has generated some good-natured competition at the hospital, even among those who had never exercised, Smith said. And those who already were working out feel challenged to do even more. "I'm motivated to see how my peers are doing and moving my pins on the map," said Kevin Mell, the hospital's vice president for human resources. Randy Bursar, supervisor of nuclear medicine, said he has become more consistent in his treadmill and Bowflex machine workouts. "This is the best thing they've come up with here," said Bursar, one of the few to finish the challenge each month. This month, participants are "traveling" through Spain on the route of the Vuelta a España, a three-week bicycle race. "I always said I was going to [exercise]," said Barbara Boyds, an administrator in the performance improvement department. "Now, I finally did." Boyds spends most of her workday at a computer. She now exercises on a treadmill three times a week and does Pilates twice a week. Dr. Ellen Smith’s coworkers at Montgomery General Hospital in Olney often say they will join her on her weekend adventures of rappelling, kayaking, biking or hiking, but they never do. So Smith has created a way for them to join her in spirit as they exercise in their own way. She calls it Dr. Smith’s Employee Healthy Sports Challenge. Since December, Smith has posted a new map on an easel each month and invited everyone to join her on adventures such as a virtual Iditarod sled race across Alaska or on a kayaking trip across Niagara Falls. For each 10 minutes of exercise they complete, participants move a pin one-half mile on the map. December’s route was 15 miles and January’s was 18 miles, but now the group, which numbers more than 80, has progressed to 30-mile routes. ‘‘I wanted to have a way for people to be proud and demonstrate their progress,” Smith said. She wants everyone to know they can get the benefits of exercising without participating in the extreme sports she enjoys. Yoga, Pilates, walking and playing basketball all offer good workouts, she said. Each virtual race participant is entered into a monthly random drawing for prizes donated by Montgomery General. The prizes include golf and tennis balls, backpacks, weights and certificates to local restaurants. ‘‘I’m motivated to see how my peers are doing and moving my pins on the map,” said Kevin Mell, the hospital’s vice president for human resources. The experience has generated some good-natured competition, he said. ‘‘It’s very competitive, even [among] people who never exercised before. ... It’s really caught on,” Smith, an emergency room doctor, said. For those who had always exercised, the challenge pushes them to do more. ‘‘It kind of challenged me to be consistent,” said Randy Bursar, supervisor of nuclear medicine. ‘‘This is the best thing they’ve come up with here.” Bursar is one of the few to finish the challenge each month. He does it by working out on a Bowflex machine and a treadmill. ‘‘My nuclear medicine team exercises here as well, and we tease and motivate each other,” Bursar said. This month, participants are ‘‘traveling” through Spain on the route of the Vuelta a Espana, a three-week bicycle race. ‘‘I always said I was going to [exercise]. Now I finally did,” said Barbara Boyds, an administrator in the performance improvement department. Boyds spends most of her workday sitting at a computer. Now, she exercises on a treadmill three times a week and does Pilates twice a week. Smith, 44, of Damascus always enjoyed sports, but her husband, Jeffrey, a former professional football player in the Canadian Football League, introduced her to long-distance cycling. Their children, Dan, 15, Ben, 13, and Sarah, 11, also enjoy sports, the doctor said. The boys play football and Sarah plays soccer. Sarah also enjoys rock climbing, Ben enjoys biking and Dan enjoys kayaking. Smith hopes to spread her enthusiasm for exercise to others. She said sports opportunities are easily available in Montgomery County, including those that people might not have considered, such as kayaking. A kayak can be rented for $6 per hour at Black Hill Regional Park, she said. In April, Smith will begin a monthly lecture series on sports-related topics for hospital employees. This summer, the hospital plans to hold a lecture series for the community on how to re-enter sports. ‘‘We want to promote good health,” Mell said. Benefit ourCommunityMontgomery General Heart Patient Saved in Partnershipwith Washington Hospital Center. The patient was only 52 years old, but presented to the Montgomery General Hospital emergency department with severe chest pain. Based on Montgomery General’s Chest Pain Center protocol, the EKG was done within 10 minutes and the diagnosis of a heart attack was established. Unfortunately, the patient’s blood pressure dropped and he developed shock. The decision was made to transfer him emergently to another MedStar Health facility, the Washington Hospital Center. Within minutes, a Medical Shock Trauma and Resuscitation (MedSTAR) helicopter was on its way.“With one call, Washington Hospital Center’s transport service, a component of MedSTAR - the Level I Trauma Center at WHC, took care of everything,” says Dr. Rob Lager, an interventional cardiologist with Cardiology Associates. “In the blink of an eye, the system was activated. MedSTAR gathered the team and alerted the supervisors. The process is very streamlined, very protocol driven, and very fast.” When the chopper arrived at Montgomery General that Saturday morning in January, the patient’s condition was tenuous. “Unfortunately, he was not stable enough to transport,” says Dr. Ellen Smith, an emergency department physician who was treating the patient. Together, Dr.Smith, members of the ED staff, and the MedSTAR medics worked to stabilize him. Once the patient was transferred into the helicopter, the MedSTAR team took over. During the transport process, the MedSTAR helicopter team kept doctors at the Hospital Center apprised of the situation.“One of the great things about MedStar is the way their communications work,” says Lager. “You get moment-to-moment reports about where they are in transit.” Those reports allow medical personnel to mobilize and start treatment as the patient is wheeled in. When the patient arrived at the Hospital Center, his blood pressure was “almost undetectable,” according to Lager. As the patient went into cardiac arrest a second time, medical staff used a defibrillator and performed CPR, keeping him alive. An angiogram showed a blockage in one of the patient’s major arteries and Lager opened it up with a stent.“His heart rhythm was stable and his blood pressure was no longer falling, but he wasn’t completely stable,” says Lager. MedStar Health’s helicopter transport service has airlifted more than 40,000 patients. It is staffed round-the-clock with surgeons and medical flight staff specially trained in the complexities of trauma care, the MedSTAR program is consistently named one of the country’s best Level I Trauma centers. August 10 – 12, 2007 Robert C. Byrd Health Sciences Center,Morgantown, WV on two topics: (1) Heat Related Illness; and (2) Medical Issues for the Endurance Athlete. Probably experienced trailusers of all varieties have compared sightings at one time or another noting the oddest things they have seen on the trail. An old refrigerator, pink flamingo, pair of loafers and school bus front fender are givens. A rabid raccoon, snakehead fish or a drunken fisherman might be worth passing on. However, the merry band observed on the Patuxant trails last weekend is really worth acknowledgment. Early last Saturday (May 26, 2007), teams of doctors, medical students, a nurse and her friend both on horseback, a policeman, and a contingent of ‘victims’ ran up and down the trails and through the Patuxant River on the Montgomery and Howard County sides of this large state park. This rather large “gang” (probably 40-50) ran a ways, and then participated in a medical lecture on treating and evacuating orthopedic injuries while in the wilderness. After the brief lecture, the gang ran again, scrambled up some rocks and then participated in a lecture on attending to dental injuries while in the woods. Next, run some, lecture on pediatric wilderness medicine, cross over the creek via a blowdown, run some, jump in the river over your head and run some more. Teams had to demonstrate they could start and maintain a fire by two different means without dry matches. GI Docs, ENT Docs, Emergency Room P.A.s were running though the woods, attending lectures all day. The policeman demonstrated how to be safe and to fight back if ever attacked. Deliver a baby in the woods? Piece of cake for this group. As part of their training, first, second and third year University of Maryland Medical Students signed up to learn Wilderness Medicine by none other than MCRRC’s own: Dr. Ellen Smith, Emergency Room Doctor at Montgomery General. What a gang leader she is! In addition to creating and organizing this wilderness medicine course in Maryland, Dr. Smith is a very strong runner, triathlete and adventure racer. 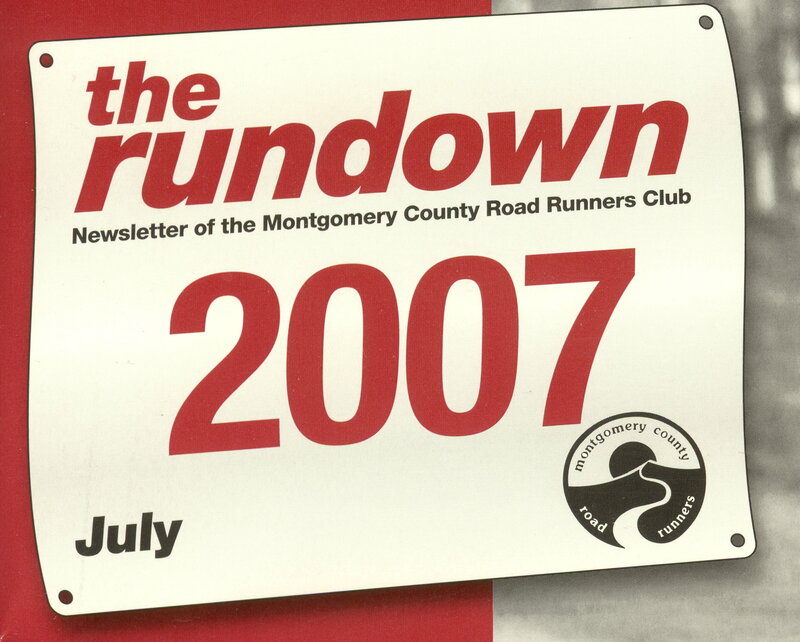 (She is listed in the last edition of the Rundown; she also completed the Seneca Creek Greenway Trail marathon this year). It would be hard to second guess this very experienced medical professional and tough athlete as she spoke about treating injuries outside of the normal theatre. During one lecture she showed the group a technique she did to herself to reposition her shoulder after a huge fall while mountain biking. She did what usually takes a trained ER staff to do, in the woods by herself including pinning her hand under her foot to pull her shoulder out of socket and put it back in.Emergency Room Medicine may be outside the parameters of medical mainstream but wilderness medicine is simply way out! Following lectures in the field about plants to avoid and treating water, Dr. Smith had the gang broken into small groups. Now they had to compete on an orienteering course. For the medical students, this had to be a big treat compared to attending classes, labs and seminars during the rest of the week. After orienteering, small groups participated in simulated wilderness medical treatment and evacuations. These scenarios designed by Dr. Smith, had teams of “wilderness docs” locate victims via triangulation; diagnose injuries, provide immediate care and for some evacuate the victims, meaning they had to carry victims through the river and on the trail while providing medical care. Dr. Smith told the gang that it takes 14 people to evacuate one victim 1 mile on trails. Most of the scenarios were very intricate, involved running, orienteering, diagnostics, certainly physical strength and a very specialized medical approach. Just in case some might be wondering, YES, duct tape made its way into the lectures. Dr. Smith designed this course herself, prepared all aspects of it and in essence ‘donated’ it to the community. She certainly is one of the treasures of the trails. Thanks to her, her doctor friends who donated their time to this great cause and the group of medical students, those enjoying our trails can feel a little safer should something ever go wrong. Given how tough and experienced Dr. Smith is, it would almost be embarrassing to show up at Montgomery General with anything less than a heart attack.